"Each HR roundtable discussion is highly impacted by issues that are urgent and/or important to that month?s attendees. John ensures each person has a chance to propose a topic and offer others their ideas and solutions. The topics vary from benefits to difficult employee situations and John keeps the conversation on point. He?s ready and able to address any and every topic thrown his way. In my experience John?s value is knowing and working the roundtable process, while knowing when and how to flex its structure. I?ve gotten a lot of information and ideas from these roundtables and look forward to attending the HR roundtables in 2019. Every year it seems that HR Managers are faced with new programs and regulations. How is the new year unfolding for you? Are you swamped and need to vent? Do you need ideas on how to tackle a few challenges? Since the agenda will be developed by you in true peer-to-peer roundtable format, maybe we will discuss your topic first! No outside speakers and no preliminary topics - unless requested by you in advance of when we meet! 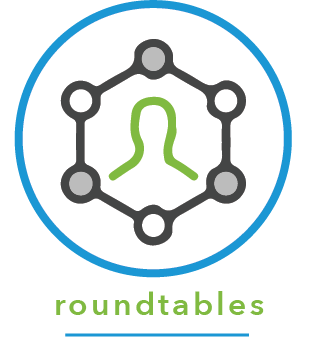 The HR Managers Roundtable meets the 2nd Tuesday of even-numbered months from 7:15-9:15 a.m.